Welcome to Taste of Crete! We bring to you our all natural products that are staples of a healthy Mediterranean diet. Scroll down to learn more about our wonderful products! 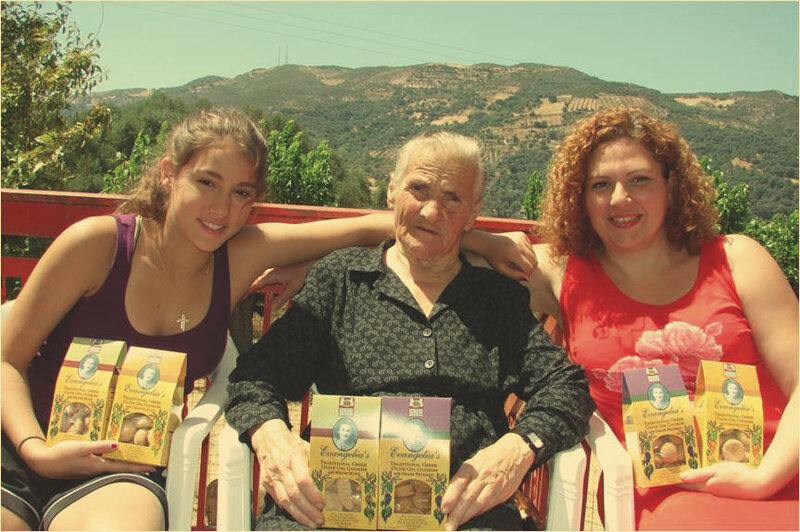 Taste of Crete takes great pride in offering the finest natural Greek products, including our signature award winning PDO Extra Virgin Taste of Crete Olive Oil, as well as Taste of Crete vegan Kosher family-recipe cookies made with olive oil. Experience the cuisine of an Ancient culture, and the birthplace of the Mediterranean diet! Olive oil as long been known for its health benefits on Heart Disease, Blood Pressure, Diabetes, and Obesity. Our Taste of Crete Award Winning Extra Virgin Olive Oil has a fruity flavor with a very smooth light pepper finish, and low acidity that is high in antioxidants. Following a 3,000 year tradition our beekeepers set their hives on the rocky, windswept hills of the Island of Crete. The result is a honey with a subtle thyme aroma and an intense floral aftertaste. Perfect in teas, over yogurt, and on toast, our honey is rich in enzymes that relieve inflammation. 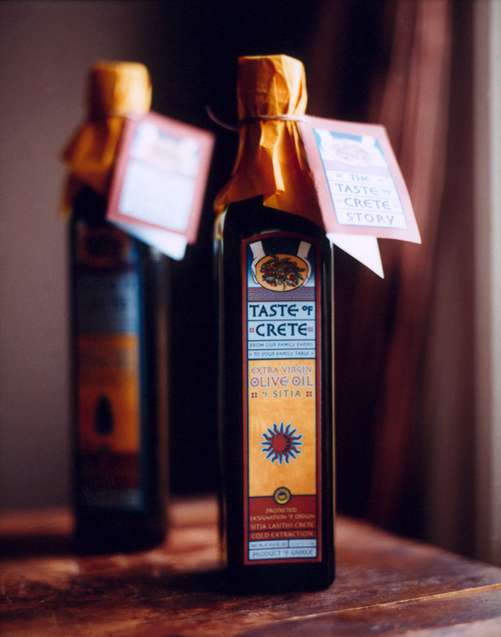 When Taste of Crete first started in 2004 we decided to start with the foundation of all great dishes in the Mediterranean diet: Extra Virgin Olive Oil. Olive oil as long been known for its health benefits on Heart Disease, Blood Pressure, Diabetes, and Obesity. In order to be considered “Extra Virgin” our Koroneki olives are picked by farmers off of the trees, not off the ground, and they’re picked earlier than normal in order to make sure all of the anti-oxidants and nutrients are not lost. At the end of the process our Taste of Crete Award Winning Extra Virgin Olive Oil has a fruity flavor with a very smooth light pepper finish, and low acidity that is high in antioxidants. Its flavor really rivals butter in any recipe. 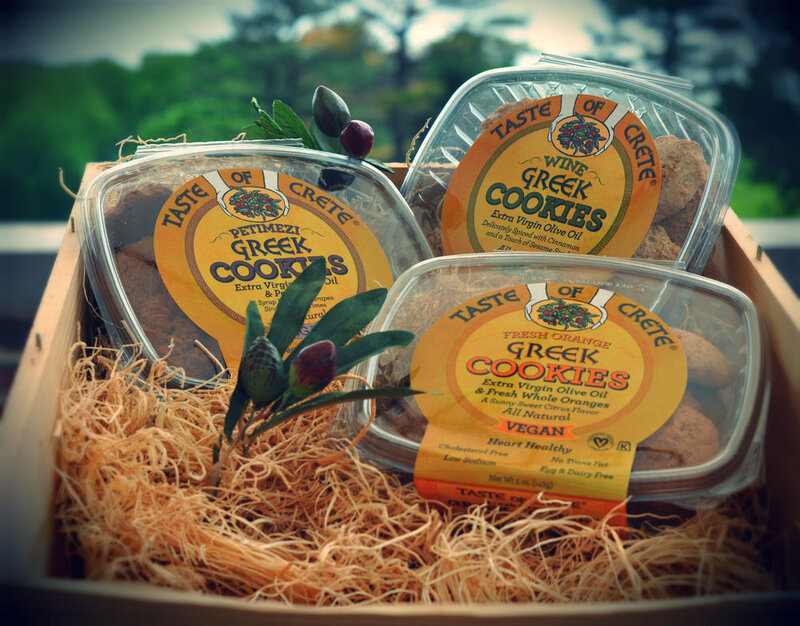 After providing people with the olive oil we here at Taste of Crete decided that the best product to bring to the public was delicious and healthy Greek Cookies. To be honest we didn’t have to go far as my mother-in-law has always made the best cookies. The cookies we sell to you are made with the exact same family recipe that my entire family has been enjoying for years! The best part you ask? The cookies are made with no eggs or butter, have no trans-fats or preservatives, and it’s both Vegan and Kosher!